First Person Learning a new language in a new land, would we ever fit in? Learning a new language in a new land, would we ever fit in? It felt like drowning: heart pounding, head spinning. On my second day in Canada I stood in a Toronto supermarket, my hand outstretched in a beggar’s gesture. “Is it a buttermilk? Curd?” asked a woman in her 60s, her forehead wrinkled in mild concern. Her response confused me. What’s with this “curd” thing, I wondered. Isn’t curd part of sheep’s fat? And how could something simultaneously be a butter and a milk, solid and liquid? “Sorry to ask, dear, where are you from? You don’t look Russian,” the woman said as she flashed me her best “inclusive Canadian” smile. I blinked once or twice and opened my mouth. Nothing came out. I knew what I wanted to say. Yes, ethnic Russians are 80 per cent of the population of Russia, but there the census reports 194 other ethnicities. No, I don’t look Russian, I was born in Sakha Republic in Siberia. The territory of my homeland is one third the size of Canada, and the capital, Yakutsk, is the coldest city on Earth. I wished I knew enough English to be able to say all of that. Fate has a curious sense of humour. When I lived in Russia, I once saw this student from Africa in a meat shop. The winter in St. Petersburg was especially severe that year. The Neva river froze all the way to the bottom, which had happened only once before, during the Nazi siege of the city. “What can I do for you?” the shop girl asked, trying not to stare at the visitor’s lips, actually blue from the cold. The foreign student warmed his fingers with his breath and tapped on the glass of the meat display case. I had smiled at the language barrier back then. But I wasn’t smiling anymore. As a newcomer to Canada I was feeling the strangeness of it all. I felt threatened when people smiled at me on the streets. In Russia people don’t give you smiles for free. In fact, prior to the 2018 FIFA World Cup Russia earlier this year there were special training sessions for volunteers: teaching them how to smile just for the fun of it. As the Russian proverb says, laughter without a cause is a telling sign of a fool. 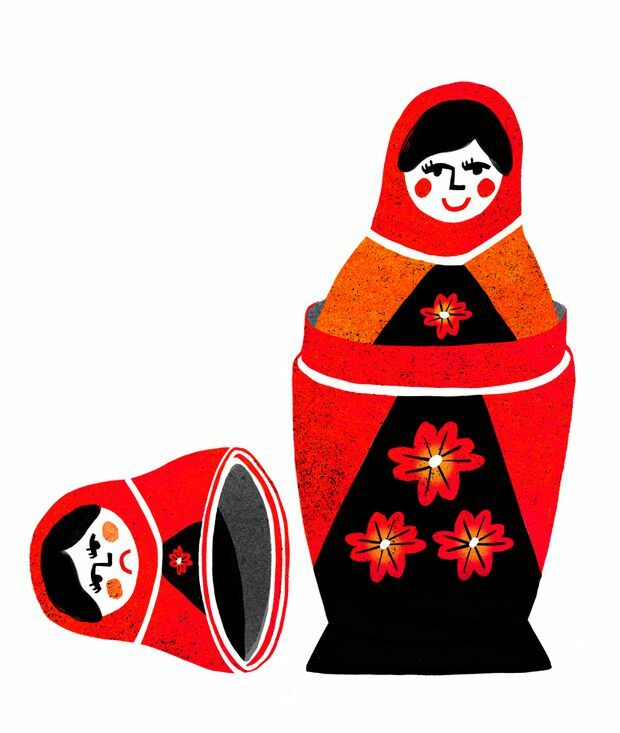 Russians prefer to frown as if someone’s life depends on it. And sometimes it does. As it turned out, I wasn’t ready for the immigrant life at all. English was a part of the curriculum in my school and later at university, too. I thought I knew a thing or two but the words I knew were totally out of place. I could spell “exploitation,” but had no idea how to ask for a fork. I struggled every time the phone rang and someone started spewing words at me. I was able to catch one or three. I was stuck. I grew my hair out, not because I wanted to but because barbershops and hair salons were terra incognita, the term appropriately sounding like the word “terror.” I couldn’t read books - the labels on cereal boxes were more on my level. I nearly forgot what a cinema was and didn’t watch movies till Netflix launched an option for subtitles. In my previous, not-incapacitated life, I was an avid theatre-goer, with all that ingrained Russian love for Chekhov and Stanislavski’s method. In Canada my attempt to watch a play at the Stratford Festival was a soul-crushing experience. Damn Shakespeare. My family struggled alongside me. Before we sent our 12-year-old son off to his first day of school in Canada, my husband and I spent a morning debating whether we should teach him how to say his name or how to count from one to 10. In Russia he attended a German Immersion school, poor soul. Not all my children suffered. The language barrier was a more casual burden for my 17-year-old. Thanks to his dyslexia, there was little difference about which vowels in what language to confuse. However, the new Canadian environment had a say, I suspect, in his decision to pursue arts and sports. I didn’t want to be here either. I wanted to be myself again, not this deaf, frightened, half a person with a speech impediment. I am not fluent, but I am no longer drowning in English. The river of words is carrying me on. Oh, and that “white thing” I was desperately looking for in the wrong aisle was sour cream. The nice lady in the supermarket refused to rest until we’ve found what I’d come there for. Nadya Semenova lives in Toronto.